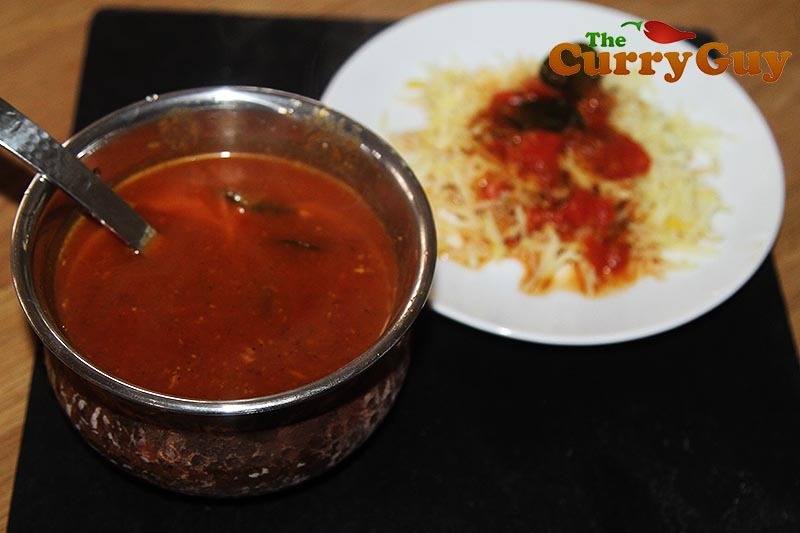 Pepper rasam is delicious as a soup or served over rice. I think one of the reasons I enjoy eating so much is that I love exciting flavours. I’m dreaming of an In-n-Out Double-Double cheeseburger right now as I write this. OK, so black pepper rasam isn’t a Double-Double but it is a soup I eat almost daily. It’s so good for you and really easy to make. It also just happens to have an amazing flavour that I’ll never tire of. 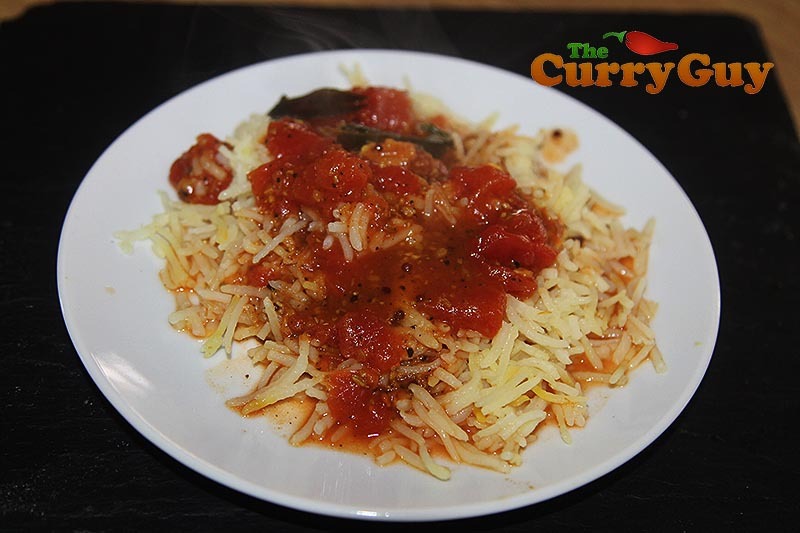 This soup is often served with white Basmati rice and makes a perfect, healthy light lunch or dinner. Pepper rasam isn’t super spicy but it does have some heat from the black pepper and whole Kashmiri chillies. It’s great for fighting colds too, or so some experts say. If you can’t find block tamarind, use about a tablespoon of tamarind concentrate which is available at most supermarkets. Get a good chunk of tamarind and soak it in warm water for about ten minutes. Squeeze all the tamarind into the water and remove any seeds. Grind all the whole spices and lentils until you have a fine powder. Then add the garlic and give it a good pounding! 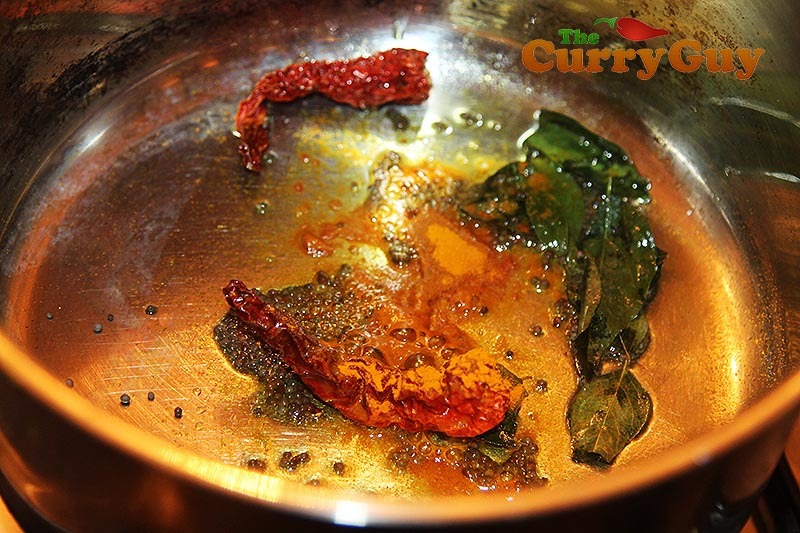 Add on teaspoon oil to the pan and temper the mustard seeds, chillies and curry leaves. Add the turmeric. Pour in the tamarind water, chopped tomatoes and water. Bring to a boil and then simmer for 5 minutes to serve. So good served over rice. 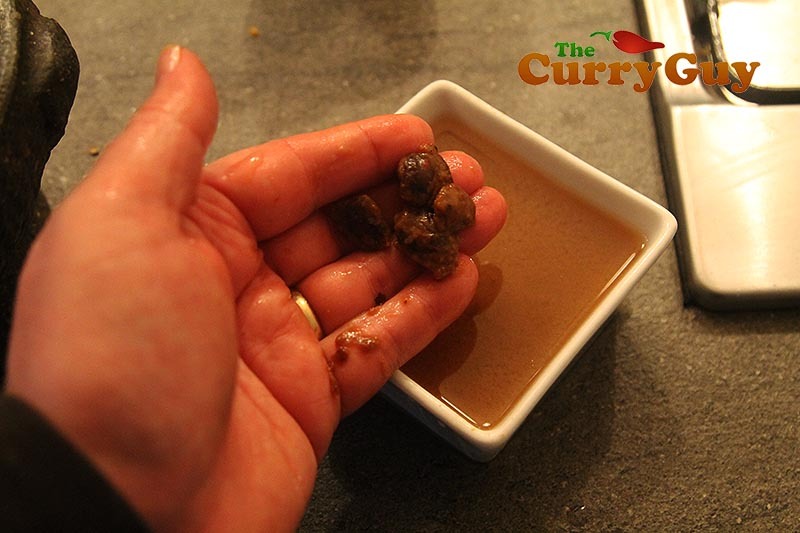 Add the ball of tamarind to a cup with about 250ml (1 cup) hot water. Break it up with your hand and allow to soak for about ten minutes. 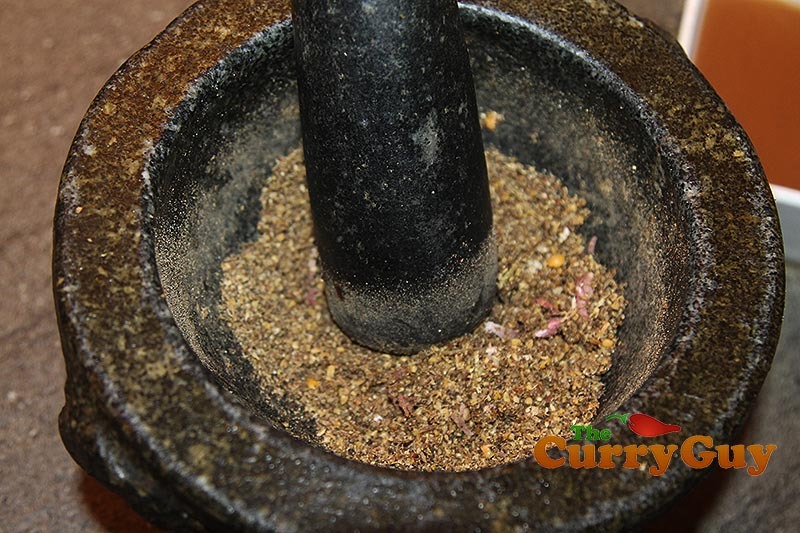 Meanwhile, grind the black peppercorns, cumin seeds, toor dhal and coriander seeds to a fine powder using a pestle and mortar or spice grinder. The powder needs to be really fine. Add the garlic and pound it well too. 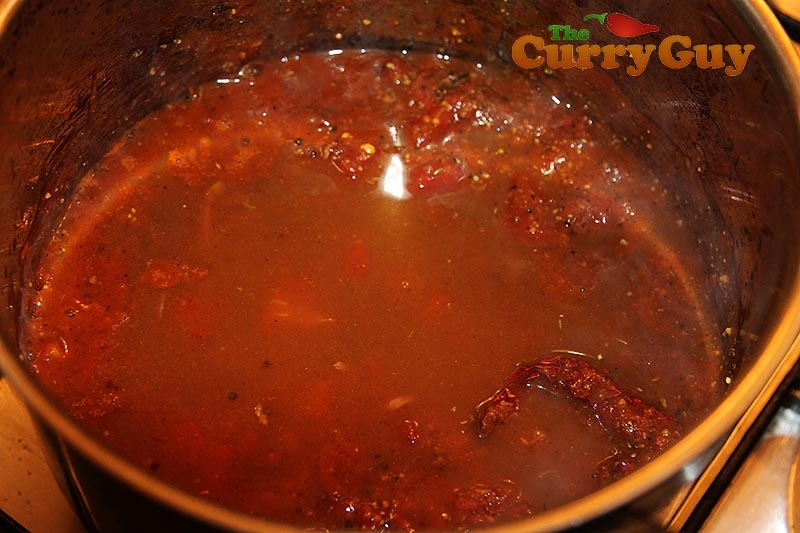 Now heat 1 teaspoon rapeseed or coconut oil in a large saucepan over medium-high heat. When hot, add the mustard seeds. 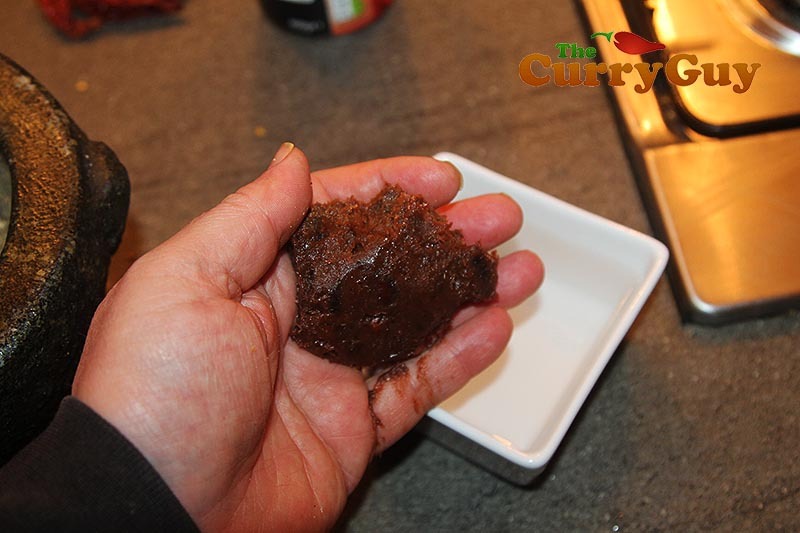 They will begin to pop and when they do, reduce the heat to medium and stir in the Kashmiri chillies and curry leaves. Fry for a further 30 seconds and then pour in the tomatoes and the tamarind water being careful to ensure there are no seeds. Add the water and bring to a boil. 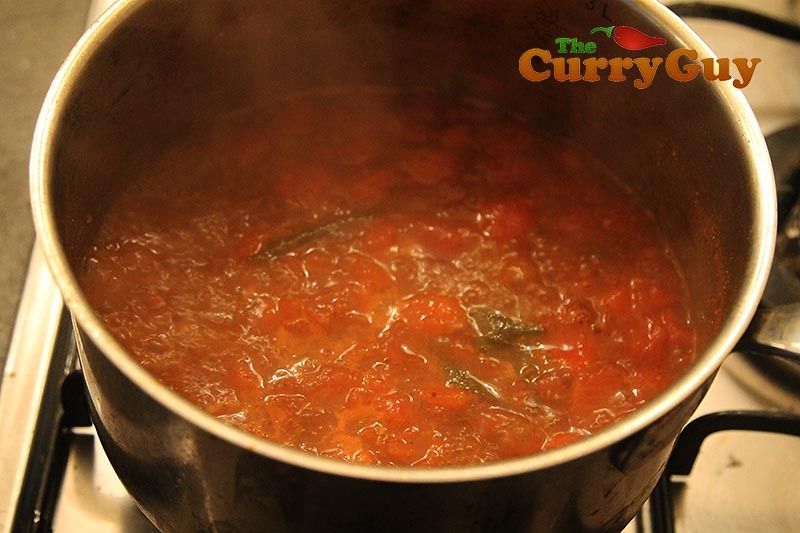 Simmer the soup for a further 5 minutes and then stir in the chopped coriander. Season with salt to taste to serve.